As is true in most communities today, the students of Amarillo Independent School District (AISD) are active online in ways that sometimes involve cyberbullying. One outcome of this problem came to light when local businesses found it difficult to hire students because their online presence often did not reflect the character standards the businesses were seeking. AISD decided to investigate bullying more broadly. The district gathered as much feedback about bullying as possible through focus groups with middle school students, including students who bully, students who are targets of bullying, and bystanders. After analyzing its data, AISD designed a comprehensive approach to bullying prevention that included youth-driven initiatives, strong community partnerships, and two universal approaches (i.e., those designed to reach the entire population): Positive Behavioral Interventions and Supports (PBIS) and Too Good For Violence (TGFV). In addition, AISD created new ways for parents and students to report incidents of bullying, including a form on the district’s website, and “bully boxes” placed in every elementary school in the district, where students can leave notes about bullying. Guidance counselors followed up on all reported cases of bullying. 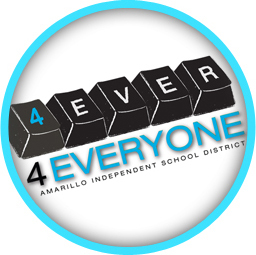 AISD also decided to focus on digital responsibility and developed 4Ever 4Everyone, a week-long campaign to raise awareness of digital responsibility and cyberbullying. Each day during the campaign, students participated in a classroom activity and a discussion on a topic of the day—for example, the legal consequences of inappropriate online behavior. Each night on the news, a local television station reinforced the daily theme by broadcasting a short PSA featuring local community leaders. From 2008 to 2012, the percentage of students who reported bullying another student fell from 19.2% to 13.1%. During this same time period, the percentage of students who reported feeling safe at school rose from 76.9% to 88.6%.